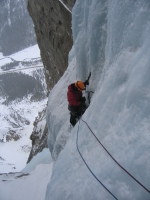 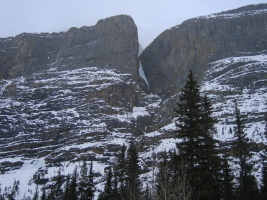 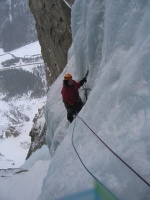 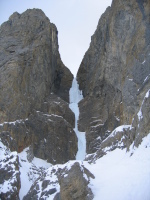 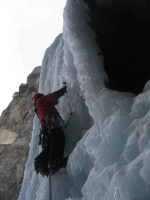 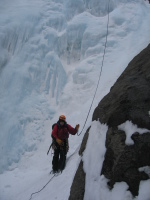 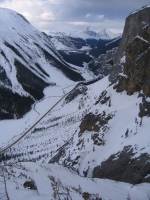 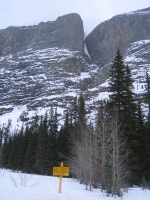 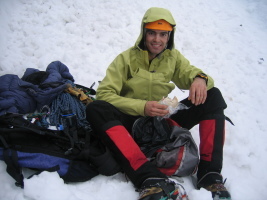 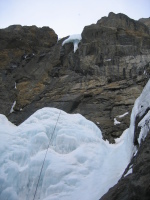 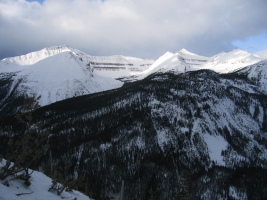 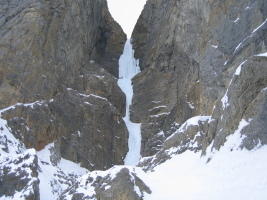 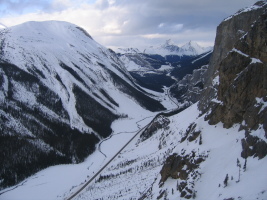 Polar Circus is one of the premier and most sought-after ice climbing routes in Canada. 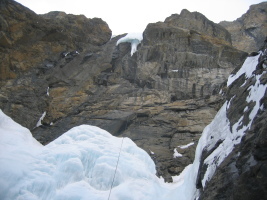 It is huge (500m of ice, 700m) and easily accessible. 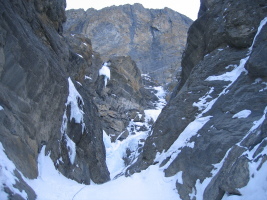 An alpine climb in character, with avalanche potential on the route and from above, it is serious and a long day. 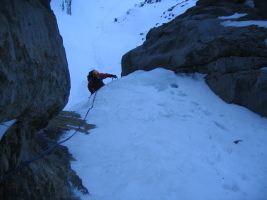 We got an early start by headlamps to make sure we were the first on the route, as it's very popular with visiting climbers. 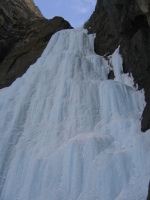 Thankfully, nobody followed us and we had a very nice experience. 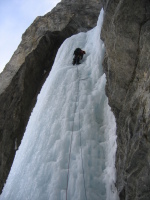 One of my favourite climbs to date! 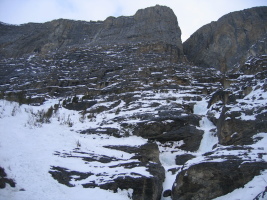 First climbed in an amazing 8-day effort in 1975 (which included aiding and fixing ropes), this route is now commonly climbed in a single day, thanks to the modern gear and protection.